News of a citizen being killed or assaulted by police, or a citizen who dies in police custody, seems to be nearly a daily occurrence today. How many such incidents actually occur in the country each year? You might think that this would be an easy question to answer, but in fact, it is not. It is not mandatory to report these incidents to the FBI’s Uniform Crime Reports database, though some jurisdictions do. Although a great deal of information about Americans is gathered by private companies and national security agencies, this is a glaring exception. By contrast, more than 125 points of data are indexed by the FBI for any case in which a police officer is killed or assaulted in the line of duty. In 2013, a total of 27 officers were feloniously killed while on duty. Without data, it is far too easy to dismiss the magnitude or pattern of a behavior. Some have suggested that police officers—like most of us—may be influenced by implicit bias, or the tendency to associate negative motivations or behaviors with nonwhite (and especially nonwhite male) citizens. 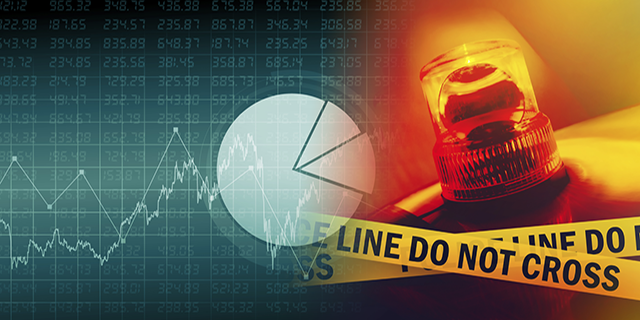 Psychologists such as Jennifer Eberhardt, PhD and Susan Fiske, PhD, as well as empirically driven policing studies, have acknowledged and examined the potential that this bias may impact law enforcement personnel and policies. Without knowing the details of circumstances in which deadly force is used, however, we cannot rigorously examine and potentially correct for such biases and other factors. The Centers for Disease Control and Prevention (CDC) collect and maintain the only systematic data regarding citizens killed by a police or peace officers. There were 516 “deaths by legal intervention” in 2013, according to National Vital Statistics System data (see Table 10). However, it is very important to remember that this number includes “suicide by cop”. Without additional information, it is challenging to determine what actually happened in each case. According to other data from the CDC, Blacks (mostly males) comprised 38.4% of the 159 “deaths by legal intervention” in 2008, but just over 13% of the overall population, suggesting there could be an issue of implicit bias. While the National Violent Death Reporting System (NVDRS), a voluntary program, and CDC provides additional circumstantial information, this system is not yet nationwide. It expands from 18 to 32 states this year, however, the House-passed budget does not provide additional funds for expansion in FY2016. NVDRS is a voluntary system. APA has advocated for additional funding and expansion of this system, and will continue to do so. Data my students and I collected at the University of Maryland in Baltimore County, as reported in an editorial in the Baltimore Sun, suggest that the plurality of police shootings occur within the second through the sixth year of service. There are a number of possible explanations for this phenomenon. Perhaps this occurs because recruiting or training does not sufficiently address potential issues of implicit bias. Alternatively, it could be because officers in their earlier years of service are more likely to be patrolling especially violent areas. Finally, we cannot ignore the culture of policing and burnout that can dehumanize community members by law enforcement. These are examples of the kind of questions we need systematically collected data as well as well-designed research studies to address. The increased media attention has propelled other efforts to index cases of police use of deadly force. The Washington Post has a team that has been tracking and compiling a list of such cases all year long. As of May 30, they had counted 385 fatal police shootings. Still, any given year’s worth of compiled data does little to give a picture of the trend in such cases over time. A crowdsourcing effort to document the last several years of data is ongoing, but for a reliable time series of data, we would need the government to step up and start mandating the collection of this data via the FBI Uniform Crime Reports, which are managed by the U.S. Department of Justice. What steps are needed now? Would the government collect this data if more citizens encouraged it to do so? In the “Information Age,” does it seem odd that the government is not collecting this data? When a government uses lethal force against its citizens, is that something citizens would have a particular interest in tracking? Lea, S. G., (2011). Future possibilities for civil rights policy. Interactivity Foundation. Retrieved from: http://www.interactivityfoundation.org/discussions/the-future-of-civil-rights/. Available in English and Spanish. Lea, S. G., (2009). A review of Racial divide: Racial and ethnic bias in the criminal justice system by Michael J. Lynch, E. Britt Patterson, and Kristina K. Childs (eds.). Social Problems Forum: The SSSP Newsletter 39(1). Lea, S. G., (2007). Race, power, and the social construction of justice in police use of deadly force. The Society for the Study of Social Problems Annual Meeting. Lindesmith Paper Award winner. Suzanne Lea, PhD, is a Fellow with the Interactivity Foundation, which facilitates deliberative discussions among citizen and in university classrooms. The foundation has recently published a report on Crime and Punishment: Imagining a Safer Future for All. Dr. Lea teaches adjunct with the University of Maryland, Baltimore County’s Sociology Department. She has provided commentary for ABC World News, BBC, NPR, and The Guardian Unlimited. Dr. Lea has previously served as an Assistant Professor at Gallaudet University’s Sociology Department, in Washington, DC, and as Chair of Criminal Justice at Trinity Washington University, also in DC. She did her graduate studies in sociology (minor: criminal justice) at Indiana University (Bloomington) and her undergraduate work in sociology and history at the University of Michigan (Ann Arbor). Her current research explores the effectiveness of deliberative discourse in university classroom and among citizens, identity formation in the absence of “demanding others,” and police use of deadly force. Dr. Lea recently co-authored the book Let’s Talk Politics: Restoring Civility Through Exploratory Discussion and co-facilitated the 2012 China Citizenship and Social Innovation Seed Camp at Harvard’s Kennedy School of Government.